Maggie Griffin's comfortable life in Boston, with a challenging teaching job, a lifelong friend as roommate and a handsome boyfriend is starting to unravel. A potential layoff, her friend's upcoming wedding and the boyfriend's new coworker all come together to throw things a bit off-kilter. Then a trip home to Mystic, Connecticut, to help her friend with wedding plans brings her ex-boyfriend, Cameron, into the picture. It certainly makes for an interesting summer. Mystic Summer by Hannah McKinnon is a wonderful summer read. It made me feel like summer was already here. I enjoyed following Maggie as she makes her way through many changes on a path to a more fulfilling life. While there is a bit of a romantic storyline, it's more about Maggie's relationships with friends and family, and her quest to figure out what she wants out of her future. This was an easy, light read but definitely engaging and it even dealt with some serious topics along the way. I found the dichotomy of Maggie's life view and her sister's to be engrossing, as her sister is married with some very challenging kids, and Maggie is just in the dating phase of life. Each seems to be envious of the other, yet they also recognize the challenges that each face in their phase of life as well. 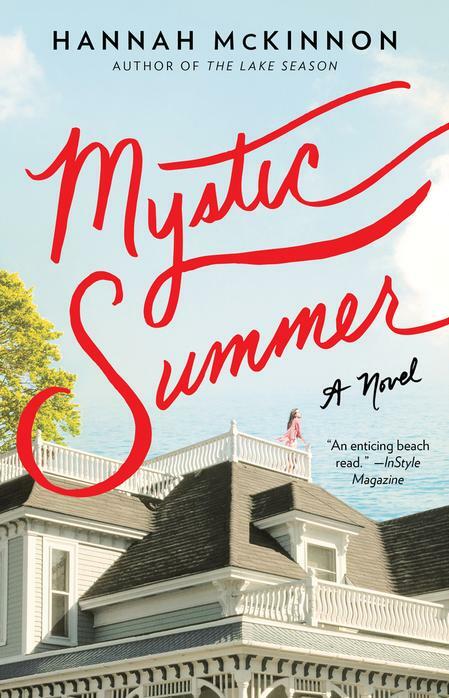 If you're looking for a great summer read, I highly recommend Mystic Summer. Check out more reviews on the book tour! This review was written based on a copy of Mystic Summer that I received from TLC Book Tours in exchange for an honest review. This post includes Amazon Affiliate links. If you purchase something using my link, I will receive a very small commission but your price does not change. 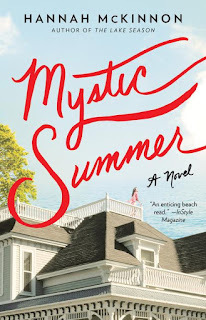 Thanks to TLC Book Tours, I have a copy of Mystic Summer by Hannah McKinnon to give away to one of my readers with a US or Canadian mailing address. To enter, fill out the following Rafflecopter. Winner will be chosen at midnight on June 13. I am always on the lookout for books about sisters. Since I have three of them, I love reading about the way they relate to each other and support each other through the tough moments of life. Thanks for bringing this one to my attention! Sounds like a good summer read! Glad you enjoyed it.